The 1990s were flooded with the wave of alternative bands. Many of them came to the forefront of the public eye after releasing a ballad-type track. The band Live was no different. Although they had released several hard tunes like "Selling The Drama" and "I Alone", their popularity didn't really explode until their slower song, "Lightning Crashes." I was impressed by all of their singles and eventually bought their 1994 album, "Throwing Copper." As I played the album for the first time, I admit that the first track on the album, "The Dam At Otter Creek", didn't catch my attention. Due to its slow build, I probably didn't give it much of a chance. Instead, I skipped to the more hard-hitting tunes. Little did I know what was hiding in that little creek. 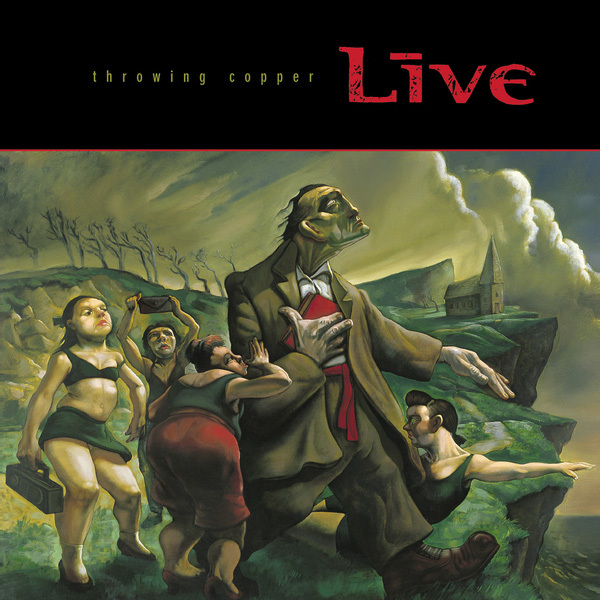 Live's second album, "Throwing Copper", contains some of the more potent lyrics and music within the 90s. To me, it's their best album. In fact, I never quite followed them after this album. The original line up consisted of Patrick Dahlheimer (bass), Chad Gracey (drums, backing vocals), Ed Kowalczyk (vocals, rhythm guitar), and Chad Taylor (lead guitar, backing vocals). I thought "Throwing Copper" was an interesting album with variety and intensity. Eventually, as with all the albums I own, I put this one aside. Every once in a while I'd rediscover one of the tracks playing on my iTunes in shuffle mode. But it was years later -- maybe even ten -- that I put the album on and for the first time really took the time to listen to it in its entirety. I was totally shocked by the opening piece. A minute and a half in, and Ed chants the line, "Oh be here now" over and over. A couple more bars of the main riff and a drum thumps in. The song changes into a slightly more frightening tone. Ed's voice isn't timid anymore; the cymbals ting and ting. A little more than two and half minutes into the song and you can feel the song about to switch into overdrive. The drums are thumping, bass driving, guitars blaring, and vocals have seemingly reach their peak. But just as you think it couldn't get more intense, at three and a half minutes, the song has lost complete control. The listener's head is spinning from the intensity for a few seconds, and then as if the song was drowning, the instruments stop. The ending feels like the notes from each member of the band are floating at the bottom of a river. What I find most compelling about the track is how much it stands apart from the rest of the album. Though "Throwing Copper" contains a nice variety, "The Dam At Otter Creek" seems in its own world: Ed's unusual vocals, the band's patience in letting a song build into the beast, and the sheer fact that it's the opening track to an album. Most albums will lead with a radio-friendly tune, but that just wasn't the case here. TRIVIA: Original lead singer, guitarist, and songwriter Ed Kowalczyk left the band in 2009, though the band continues to tour and record.